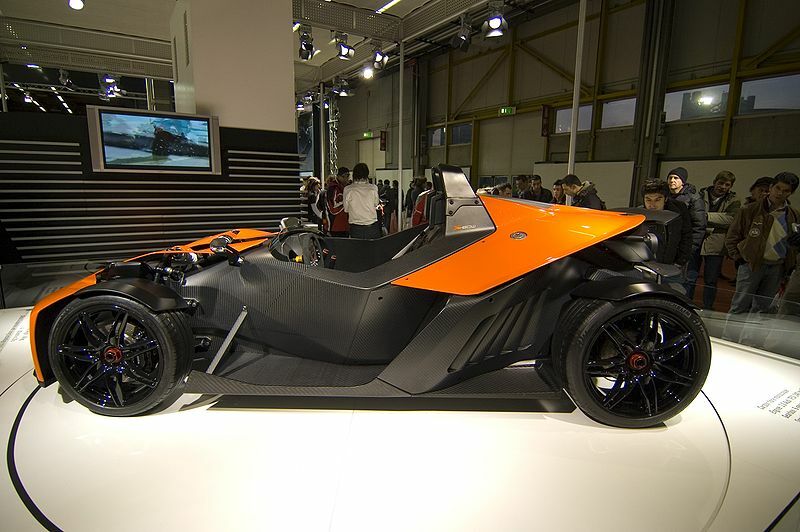 Additional Info: Uses the Audi 2.0 TFSI engine and has a carbon fibre monocoque body and a 6 speed DSG (paddleshift) gearbox is optional. 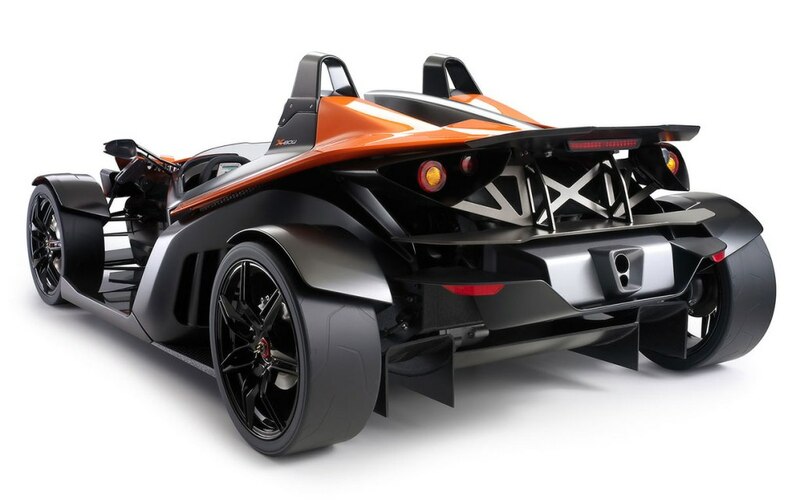 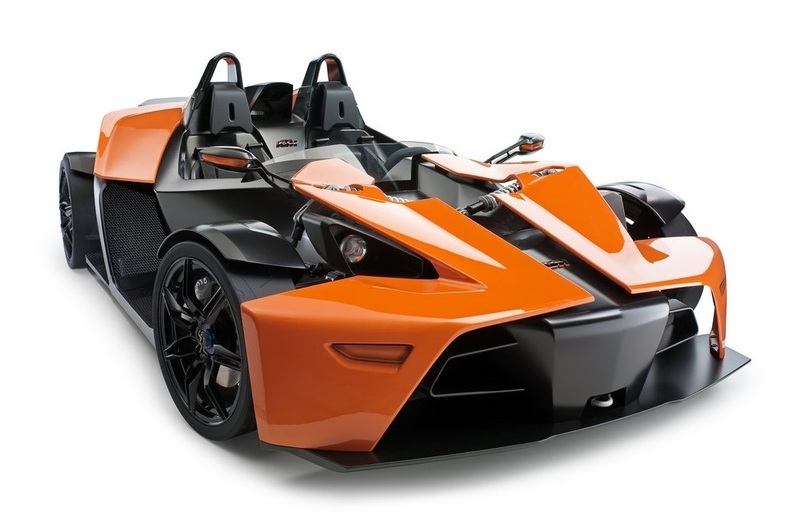 A much more powerful version made by AMD from Essex UK called the KTM X-Bow AMD Technik is also available, putting out 365bhp and 350lbft of torque it gets the X-Bow to 60 in 3.5 secs and on to a top speed of 150mph. 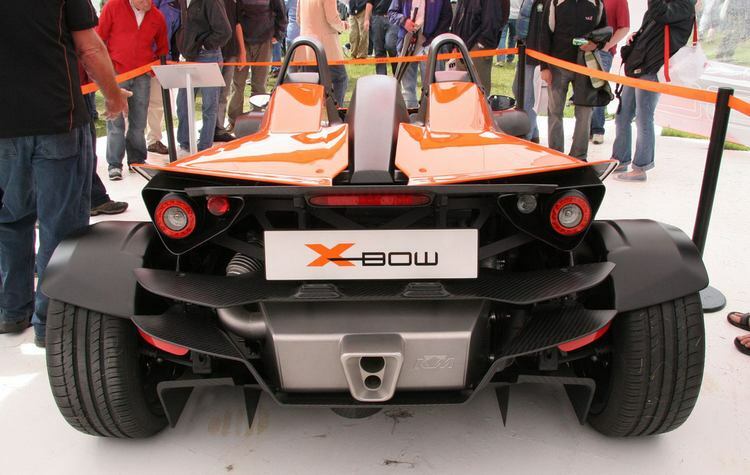 Incidentally the XBow was used as one of the cars for the Race of the Champions event, where some of the worlds best race car drivers compete against each other in head to head races. 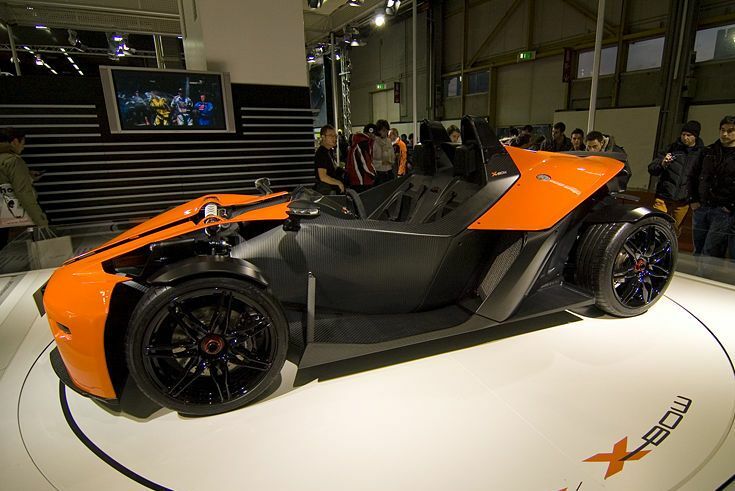 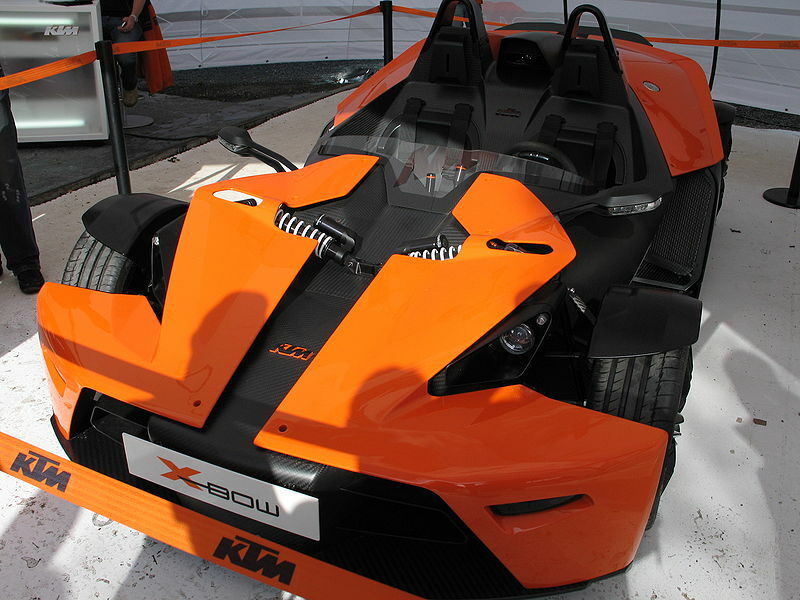 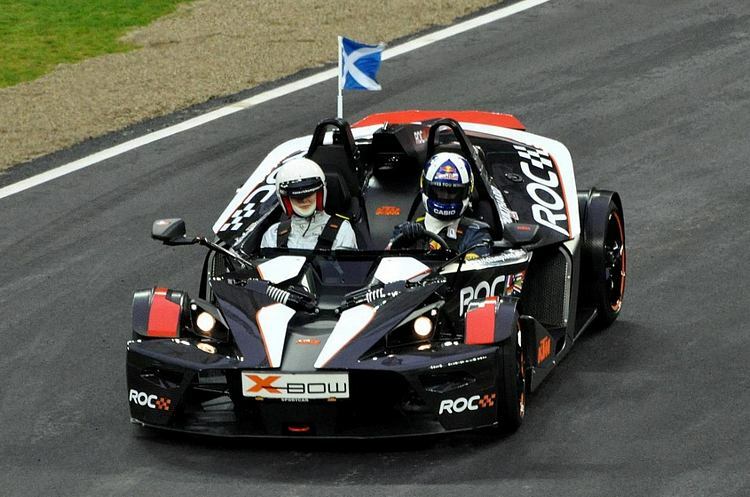 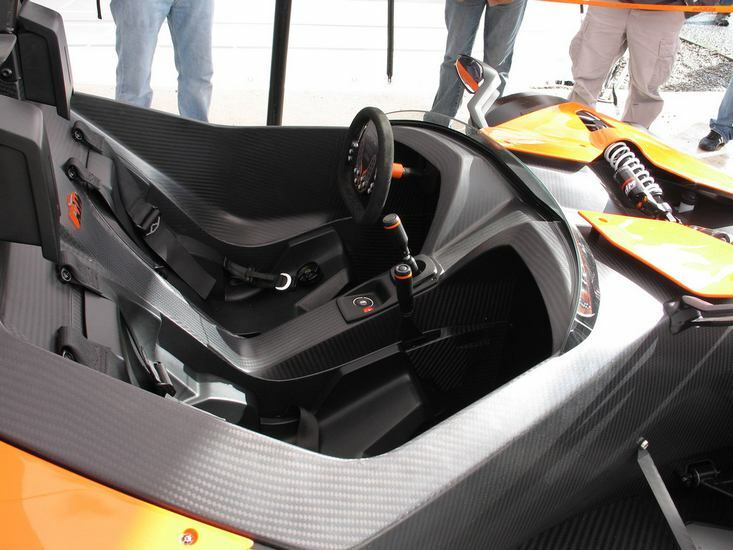 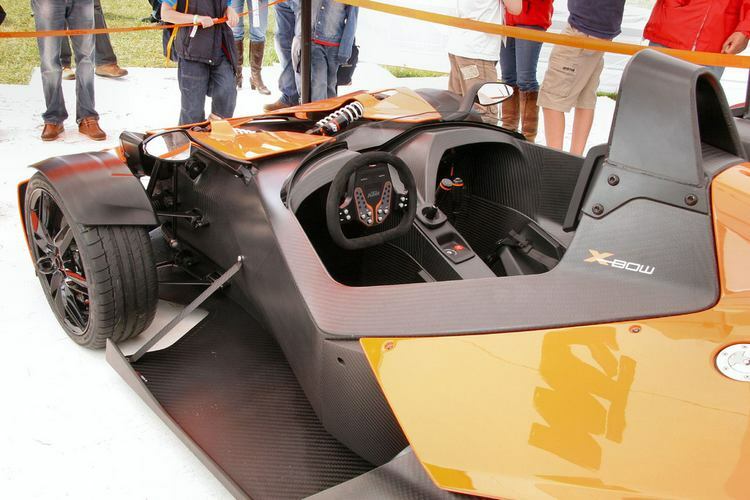 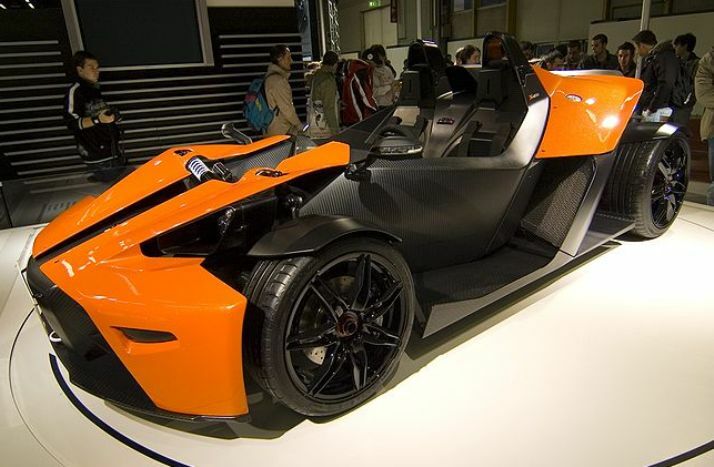 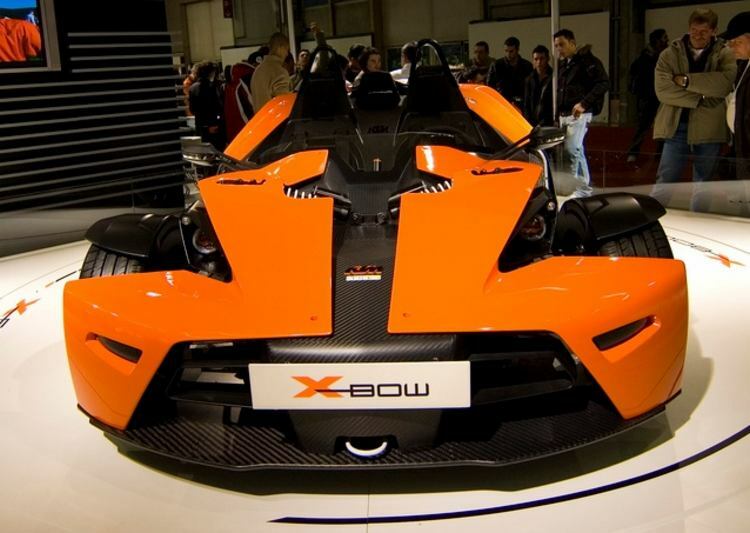 In 2011 a KTM X-Bow R was released with 296bhp. 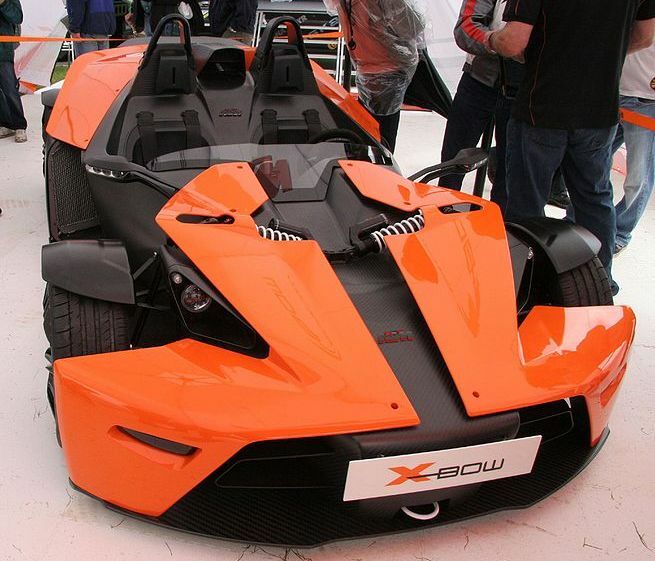 XBow GT added in 2013 and is a more comfortable version with a windscreen, side windows and even a roof, which of course add weight to the vehicle, but with 281bhp/310ftlbs it still gets to 60 in 3.9 seconds.